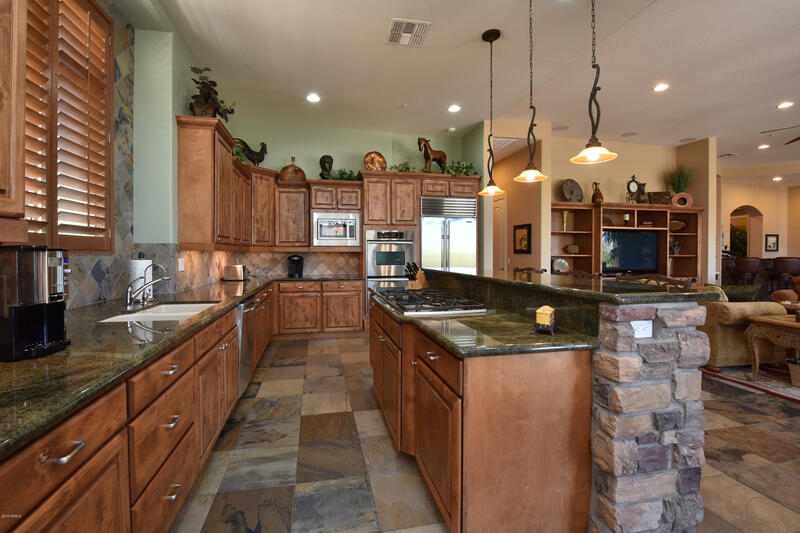 All TREVISO homes currently listed for sale in Scottsdale as of 04/25/2019 are shown below. You can change the search criteria at any time by pressing the 'Change Search' button below. "Live the Mirabel Club lifestyle without the costly HOA Fees! Conveniently located just outside the gates this lovely home features a huge southwest facing sunset and city light view. 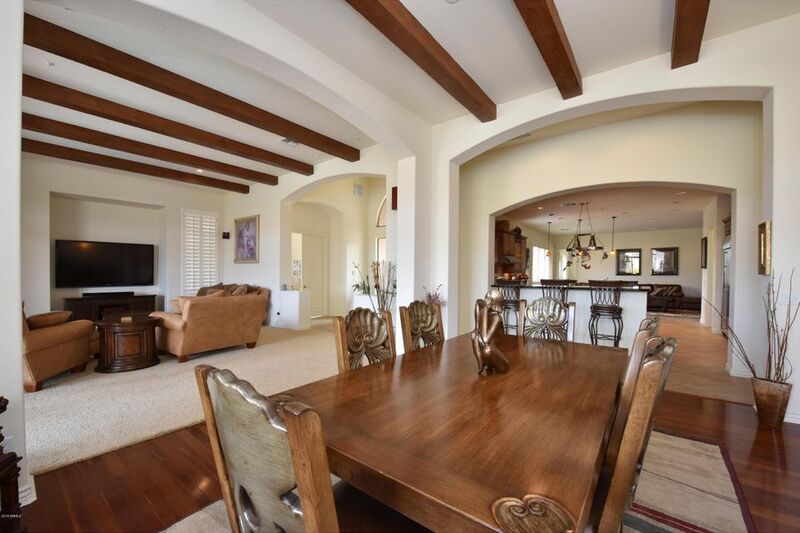 Immaculate Spanish Colonial home boasts 4 bedrooms including casita, 4.5 baths, den and bonus room. Beautiful & private courtyard entry with gas fireplace. Greatroom open to wet bar with wine fridge. Gourmet kitchen with huge island, beautiful granite counter tops & Beechwood cabinetry. Master suite has gas cantera"
"Love to Golf or Hike? Two minutes from 310 miles of trails and two Minutes from Mirabel Golf Club. Memberships available. Welcome to this beautiful Toll Brothers home in the gated area of Treviso. This one of a kind home was never replicated in this development. Kitchen boasts two breakfast bars and Kitchen Island, stainless appliances including built-in wine refrigerator, granite countertops and cherry cabinets. Great room, formal dining, living room, built-in office with granite tops. Dining r"
"Love to hike? Minutes from 310 miles trails. Love to Golf? Mirabel memberships available Tom Fazzio course. Minutes to gated Mirabel. This Elegant Home starts with paver entrance and hardwood door. Hallway boasts a beautiful tile medallion and stunning light fixture. Stone faced wet bar with beautiful granite, sink and wine fridge. Living room has stone faced fireplace and built-in entertainment center. Kitchen has brand new ovens, knotty alder cabs a five burner gas stove top, stainless applian"
"Beautifully created home with timeless finishes. 4,100+ sq ft great room floor plan w/3 ensuite bedrooms, large den/office and bonus room. 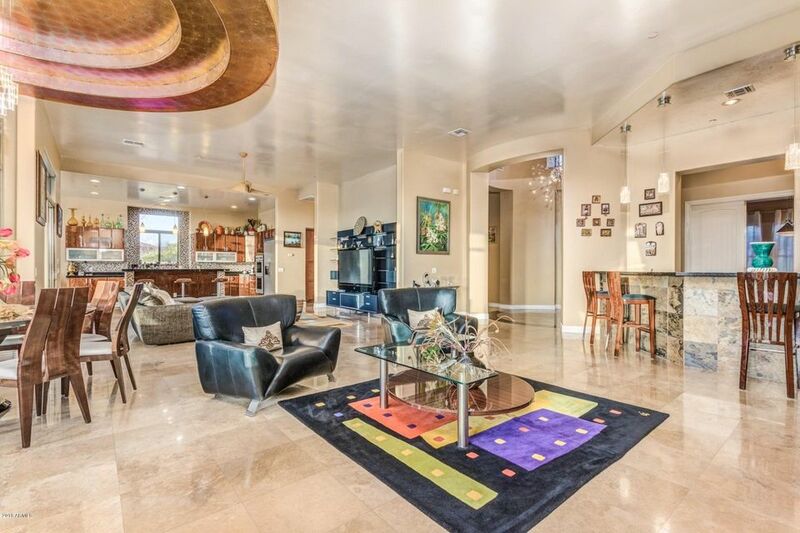 The main living area has oversized wet bar and was created for family gatherings and entertaining/parties. MasterSuite feels like you have escaped to a high-end Spa. Backyard resort features large covered patios, pebble tec pool & spa, firepit, grassy area and sweeping views of Black Mountain. Home also features 3 car garage, granite counters, Beautifully "
"This immaculate, professionally-designed home invites comfort, and exudes warmth. With generous living space and stylish finishes, you'll enjoy a perfect setting for relaxing and entertaining! GUEST HOUSE has a bedroom, bathroom, living room, fully equipped kitchen and laundry! Masterful design and luxury are uniquely embodied in this incredible home! The gourmet kitchen will inspire your inner chef with its granite counters, island kitchen, rich wood cabinetry and stainless steel appliances. St"